If you’re reading this article, you’ve no doubt heard of the benefits of CBD oil for dogs. And while countless anecdotal success stories have circulated social media for years, scientific studies on CBD are also beginning to show promise in helping dogs with many conditions from seizures to pain to anxiety. You may be taking CBD yourself and wondering: Can I give human CBD oil to my dog? Most CBD oils contain a small amount of the psychoactive, high-inducing compound THC. While the amount is likely low (under .3%) and unlikely to cause problems for a human, even trace amounts of THC can be dangerous for dogs. If you do give your dog your CBD oil, be 100% sure that it is THC-free (most are not) by checking the certificate of analysis (COA). If a company does not publicly post an updated COA on their website, DO NOT buy from them. Many human CBD oils contain both artificial flavorings and sweeteners that are not made for dogs. Some brands include Xylitol, which is extremely deadly to dogs. Dosages for many CBD oil tinctures made for humans are higher than what should be given to dogs. 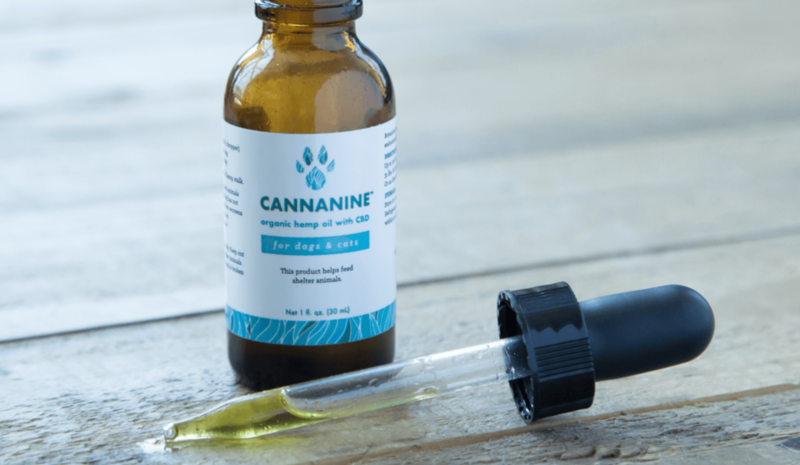 The concentration of your human CBD oil may be such that giving an appropriate dose for your dog can be difficult, especially for smaller pups. For this reason, you may want to purchase a CBD oil made for dogs in a lower concentration. You can view our CBD for dogs dosage recommendations here. In summary, while it is possible to give your dog a CBD oil made for humans, you must use extreme caution and may want to be safe by purchasing a product specifically made for animals.